Young people encouraged to participate in how their school is run do well regardless of money or other factors, according to new research carried out by University of Stirling academics. The report, published today by Scotland’s Commissioner for Children and Young People, interviewed pupils at seven schools with catchments in more deprived areas of Scotland, that had higher than expected exam results. 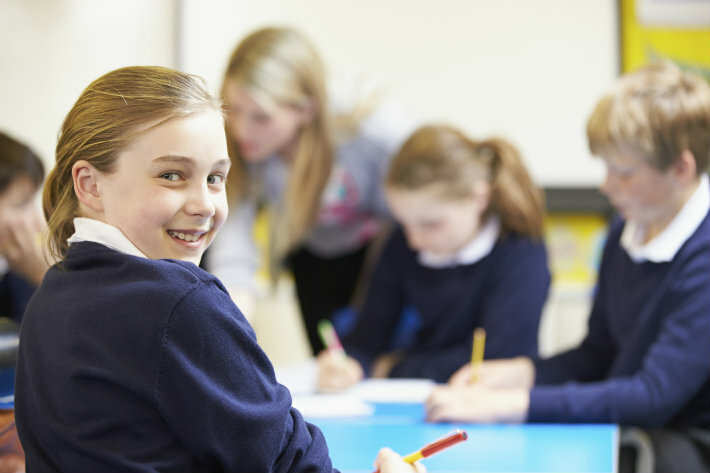 The research, conducted by University of Stirling for the Commissioner, aimed to find out if these schools were addressing pupils' participation and rights in ways that were distinctively supportive of pupil achievement and attainment. The research found that in the seven schools, across all areas of school life, pupils had substantial opportunities to formally and informally take part in a variety of meaningful activities, to take responsibility for events, make contributions to school life, and have their views considered in matters that affected them. Dr Greg Mannion, from the School of Education at University of Stirling said: "This research adds new and rich accounts from young people themselves to the mounting evidence for how participation through schooling is a driver for all kinds of positive outcomes. For young people in these schools, 'doing well' was clearly supported by taking part in a wide variety of activities across all of school life through which they could share in decision making with adults with whom they had respectful and supportive relationships. "It was noticeable that in these schools in challenging circumstances, there were many opportunities for participation in all arenas of school life. Whilst young people felt schools could do more, these schools did appear to be well on the way to addressing the right of pupils to have a say in the matters that affected them as part and parcel of working to encourage learners to achieve and attain." Tam Baillie, Scotland’s Commissioner for Children and Young People said: "This report provides welcome evidence – significantly from young people themselves - that children's rights should not be an add on in any school, but embedded throughout. "It demonstrates that young people value strong relationships - mutual respect and understanding - between pupils and teachers as key to helping them ‘do well’ at school regardless of their backgrounds or how much money their families have. "My message is that a rights-based education which includes opportunities for engagement in real decision making is a good underpinning for raising achievement and attainment. You’re more likely to see pupils doing well if they have the chance to make a difference and contribute to the running of school life in meaningful ways." The report was commissioned following a literature review, an Ipsos MORI survey and statistical analysis to by ScotCen Social Research to identify which schools to approach. It identified that participation in school life happens in four different areas: the Formal Curriculum; Extended Curriculum; Decision making groups in the school and informal areas such as the playground and social media. The research adds to the academic discussion around raising attainment and significantly brings young people's voices and experiences into the debate, which is a fundamental part of the Commissioner's duties and responsibilities under the Act. The report and other research carried out over the past two years by the Commissioner that looks at pupil achievement and attainment, and will be discussed at a seminar on Tuesday 10 February at the University of Stirling, with academics, civil servants, educationalists and others with an interest in the subject. The phrase 'do well' is used to mean both attainment (as in tests scores, exam grades and formal qualifications) and achievement (wider success and development). Young people spoke of these as connected. Pirrie, A. and Hockings, E. (2012). Poverty, educational attainment and achievement in Scotland: a critical review of the literature. Hinchliffe, S. and Bradshaw, P. (2014). The identification of effective secondary schools in challenging circumstances. Summary Report. Edinburgh: Scotland’sEdinburgh: Scotland’s Commissioner for Children and Young People. The Commissioner’s remit is to promote and safeguard the rights of children and young people, with particular emphasis on the rights set out in the 1989 United Nations Convention on the Rights of the Child. He also monitors the law, policy and practice for effectiveness in relation to the rights of children and young people and promotes best practice by service providers working with children. The report, How Young People’s Participation in School supports Achievement and Attainment (February 2015) was researched and written by Greg Mannion, Matthew Sowerby and John l'Anson, School of Education, University of Stirling. It can be downloaded in PDF format here www.sccyp.org.uk/ufiles/achievement-and-attainment. 130 young people took part in the research at seven schools. The research team conducted 50 interviews. The schools took part on the basis of complete anonymity; please note we cannot make the names of either participating schools, nor local authorities, available. ScotCen Social Research - www.scotcen.org.uk. In the 2014 Research Excellence Framework 96% of the School's research was rated as world leading and internationally significant. We are first in Scotland for Education as published in The Times Good University Guide, 2014 and The Guardian University Guide,2014 and second in Scotland in The Independent Complete University Guide, 2012. www.stir.ac.uk/education.